Nelson Birch & Sons Ltd are Local Authority Approved Asphalt and Tarmac Specialists working throughout Devon (Barnstaple, Bideford, Braunton, South Molton etc), Cornwall and Somerset. With over 45 years experience, we are a reliable, family owned business providing a complete construction service from site clearance, excavation and drainage to surfacing, kerbing and white lining. 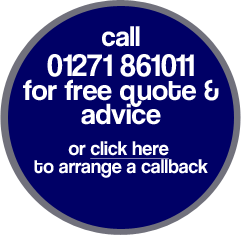 Design advice and free, no obligation quotations are personally given following on site consultations. We can design your surface and layout as required, and produce the best finish either by hand or machine, guaranteed to British Standards. Your home is your castle and you want it to look great. 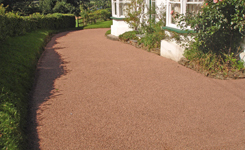 Whether you’re a proud home owner or property developer - If you’re looking to create some new space, add value or kerb appeal, our quality driveways, patios and parking areas make your house a home. We understand that you want value for money and a solution which fits your needs and budget. 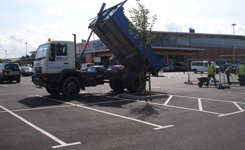 We work with you to maximise the full potential of your area, offering advice on design, maximising parking spaces with minimal disruption to your business. 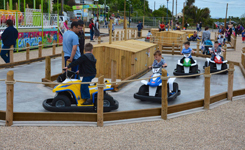 We have a diverse range of expertise relating to the Leisure Attraction industry. From carpark roads, footpaths and promenades to play areas, tennis courts and crazy golf courses – we can help you utilise the best materials to make your venue safe, durable and eye catching.